Clearly Heroes of the Storm’s Nexus has thinned the membrane between Blizzard’s worlds. The walls of their Irvine offices have come down, and inter-universe impossibilities are popping up all over the place. 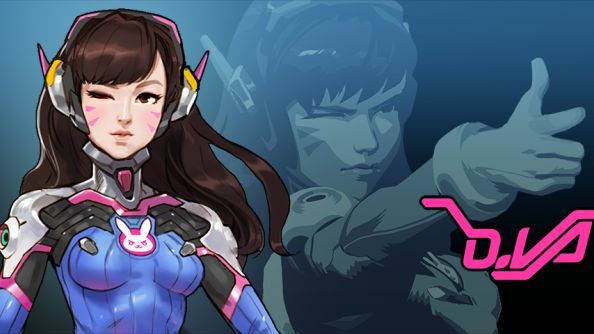 The best yet is D.Va – undefeated teenage StarCraft champion and playable Overwatch personality. Like a bit of crossover? Take your pick of the best Heroes of the Storm heroes for beginners. Buried brilliantly on Blizzard’s WCS site is a bio for somebody we’re led to believe plays in Korea’s Code S League. D.Va, we’re told, become the world’s number one ranked StarCraft pro at the age of 16 and won every match in every competition over the subsequent three years. Beloved by her fans in Korea and the countries she toured across the world, she left it all behind to protect her country in competitive first-person arenas. “She has taken a step back from competition to focus on her commitment to protect the safety of her homeland,” write Blizzard. OverPwn have been digging in the strings of the shooter’s beta, meanwhile, and surfaced with solid gold. Or Brill Bucks, more specifically, which sound like a microtransaction currency if ever there was one. There’s mention of guilds, and an apparent progression system featuring unlockable aesthetics: sprays, avatar portraits and frames, skin themes, and something called a Master Weapon – most likely a fancier first-person model rather than a stat change. It looks like players will be able to win and equip specific animations for when they win Play of the Game, too. All of this will surely be tied to a player levelling system which, according to the strings, goes up to 100. Our Ben reckons the various awards you can get in the beta at the moment – high score medals, commendations from other players, Play of the Game – will yield XP. That’s what we see when we look into Overwatch’s entrails, anyway. What do you reckon is coming?